The world should know the name of the Christchurch terrorist and the names of those who inspired anti-Muslim terror. “You will never hear me mention his name,” New Zealand Prime Minister Jacinda Ardern told the New Zealand parliament soon after a mass murderer went on a rampage slaughtering 50 Muslims in two mosques in Christchurch. This may perhaps appear smart, an apt punitive twist, to deny the racist mass murderer the notoriety he craved. But if like me you have a Muslim name, you may pause and wonder. For decades now our names have been made icons of terror and suspicion at United States and European airports and borders. The addition of a few names like Brenton or Anders or Bill or Donald or Benjamin or Daniel on the terrorist list would be more than just poetic justice here. Not naming Adolf Hitler will not bring back six million Jews slaughtered in Europe. Not naming Leopold II of Belgium will not undo the genocide he committed in Congo, in which between five and 10 million people died. When Jews, Africans, Native Americans, Asians, Latinx, and now Muslims are slaughtered, we need to know and spell out the names of their mass murderers. It is good for the posterity. It might teach humility to white colonialists in North America, Europe, New Zealand, Australia, and of course, Israel. The plague of racist white supremacy has already wreaked havoc around the globe. That is indeed a lovely little literary thesis. But I wonder; where were these literary speculations when names like Mohammad, Ahmad, Osama, Ayman and Abu Bakr were turned into synonyms of terror and barbarity in every European language? Now that a head of state of a “Western country”, as their colonial geography would have it, finally called a spade a spade and this mass murderer a terrorist, not naming his name denies the racialised origins of his crime. He is an Australian terrorist, a white terrorist, a Christian terrorist. Not naming him is like saying “This is not New Zealand” when referring to the mass slaughter of scores of Muslims. This might be all fine and dandy for the white ruling elite in denial in New Zealand, but certainly not for those who are on the receiving end of their institutionalised racism. Naming and shaming is what we must do not just to mass murderers like Brenton Tarrant, Anders Breivik, Robert Gregory Bowers, Dylann Roof or Timothy McVeigh, who actually pulled triggers, but also to those who have consistently sown the seeds of white supremacy and produced the very vocabulary of hate that enabled and agitated the infested minds of these Islamophobes, anti-Semites and anti-black racists. In an excellent piece for Foreign policy, Sasha Polakow-Suransky and Sarah Wildman demonstrate how the inspiration for the mass murder in New Zealand came from France, particularly from the work of a certain far-right ideologue named Renaud Camus. The world needs to know that this Camus and his ilk spread hatred of Muslims in France, and an Australian racist picks it up and goes to New Zealand to kill Muslims. We are not in a position to take this Camus character to any court of law. But we are in a position to scandalise him. I am sure every European country has a Camus of its own, churning racist writings to the delight of millions of Europeans. In the US we also have our share of racist Islamophobes. The world must also know their ignoble names and their terrorising ideologies. Brenton Tarrant is a dumb Islamophobe. Bill Maher, a chief Islamophobe, on the other hand, is so smart in his Islamophobia that he has actually made a lucrative career out of it. He has a well-paid job at HBO spreading his racist, Islamophobic drivel. Every bleeding-heart liberal is now rushing to condemn the massacre of Muslims in Christchurch New Zealand. But come next Friday evening, they will all sit in front of their flat screen TVs and laugh out loud at Bill Maher’s “jokes” demonising Muslims as collectively violent terrorists. You may think President Donald Trump or his evangelical crusaders like Steve Bannon or Mike Pompeo or that homophobic brute, Mike Pence are the notorious Islamophobes we must mark and investigate. But they are not. They are universally detested by liberal Americans. But talk show host Bill Maher is not. He is actually loved by liberal Americans. They crawl over each other to be at his recording studio to laugh and clap and cheer at his “jokes”. 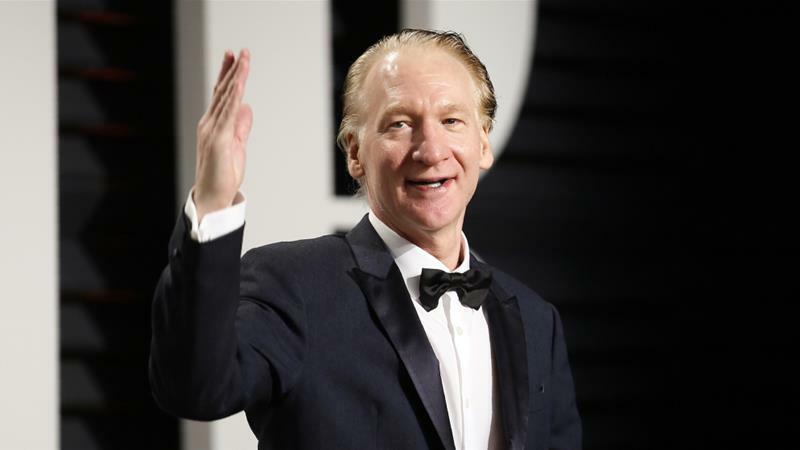 Bill Maher is far more dangerous than Trump, Pence or Bannon – he is a liberal institution who has been around long before Trump and Trumpism and will outlast him and his calamities. His visceral hatred of Islam and Muslims is something to behold. This entry was posted on Monday, April 15th, 2019 at 00:01	and is filed under Uncategorized. You can follow any responses to this entry through the RSS 2.0 feed. Both comments and pings are currently closed.